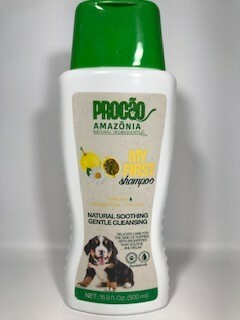 FIRST BATH: My First Shampoo is a gentle shampoo with a baby powder scent that is perfect for your pet’s first bath. PROVIDED BY THE AMAZON RAINFOREST: Plant-derived cleansers make up the base of our all-natural ingredients, which are sustainably sourced, of course! MAKE YOUR PET’S COAT EXTRA SOFT: Hydrating natural oils can go deep under the fur for skin hydration that will make your pet moisturized from the inside out. JUST THE GOOD STUFF: We don’t have room for parabens or dyes because your pet deserves better, plus it makes room for naturally occurring antioxidants. 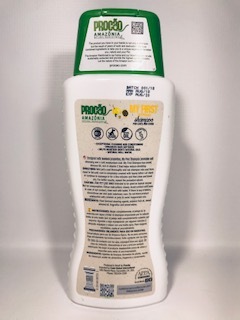 Wet pet's coat thoroughly and rub shampoo into coat from head to tail until coat is completely covered with foamy lather. Let stand or continue to massage in for a few minutes and then rinse and towel dry. For better results, repeat the procedure above. CAUTION: FOR PET USE ONLY. Intended to be used as topical cleaner. Not for consumption. Follow instructions closely. Avoid contact with eyes. In case of eye contact, rinse well with water. If there is any irritation, discontinue use and seek veterinary care. Do not leave product unattended with children or pets to avoid inappropriate use.